A&M Mobility partners Gregg Lundin and David Adler saw a need for mobility sales, repair, and rental services in the Western Montana region. In 2009 A&M Mobility was formed, and today A&M is the leading full-service mobility dealership in Montana. Gregg grew-up in the automotive service industry and has made it his life passion. 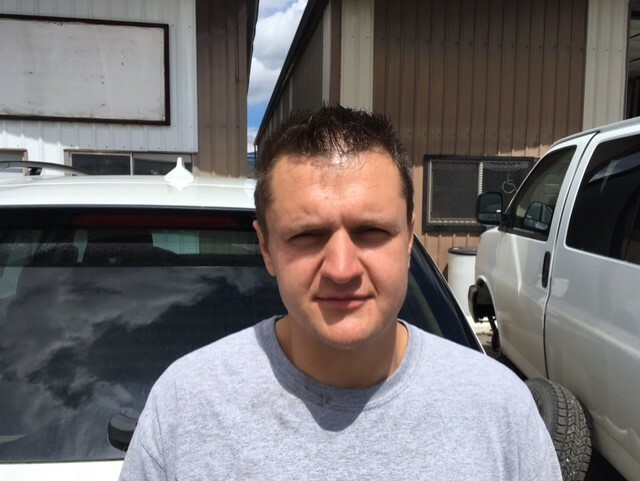 After working in the automotive customer service and sales industries for several years after graduating college with a Business degree, Gregg and his family moved West and built a full-service quick lube and automotive repair center in Missoula, MT. Gregg brings his automotive and service knowledge and experience to A&M Mobility and is responsible for the day-to-day service, as well as the installation functions of the company. Gregg and his wife Kris, along with their children Jack and Mari, still reside in Missoula. Certified Mobility Consultant for VMI minivans, fullsize vans and Ricon lifts. Professional Mobility Consultant for Bruno hoist/crane lifts, interior/exterior platform lifts and Signature transfer and turney seats. Certified Trainer for Q’straint and Sure-Lok restraint and lockdown systems. Completed the National Training Seminar in Wheelchair Occupant Securement System Training Program with Q’straint and Sure-Lok wheelchair restraint systems. In addition to his management skills, Steve has ample experience in the auto body and auto repair industries. Steve holds certifications for both VMI and Braun conversion, in addition to other product lines. He brings his knowledge and passion to A&M Mobility to ensure quality services and customer satisfaction. • Bruno Certifications in Valet (Limited, LV, and Plus), Hoist/Crane Style Lifts, Interior/Exterior Platform lifts. Passionate and hard working, Nick has allowed us to take another step in our growth. He has completed VMI and Bruno Independent Living training in the spring and currently contributes to the solid work force, utilizing his skills, dedication, and knowledge to improve A&M Mobility services everyday. Certified shop dog guarantees a warm welcome and enjoyable visit to the A&M shop. Charlie helps out where she's needed, encouraging a positive atmosphere for her hard-working coworkers.